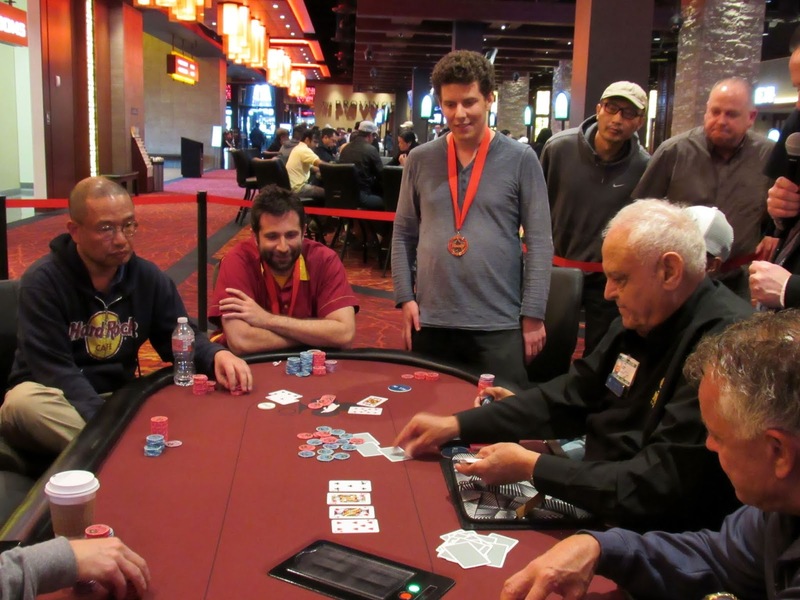 Shooting Stars Joe Stapleton and Ari Engel are side-by-side at Table 26, locked up in a hand. There's 46,000 in the pot preflop, Stapleton leading for 25,000 - one-half of Engels' remaining stack - on the [7h][Jh][Kh] flop. Engel puts his stack in and Stapleton calls. Engel - [Jd][9d] for middle pair.